And the dirt has made it into the garden! 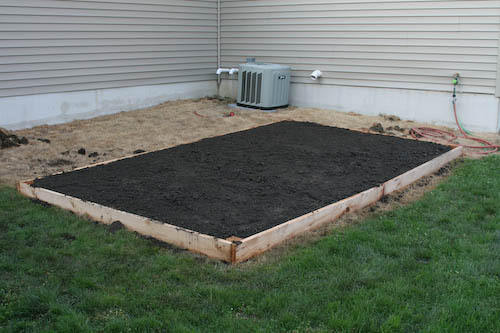 You did an excellent job in not only filling the new garden box, but in making it nice and level! Aren’t things, green things, supposed to be growing up & out in there?? That’s what I asked Ana – she didn’t seem to think we could have a salad last night with the lettuce we just planted.